Information: Herbert Burchard (1908-1999), author. Herbert Burchard was born in 1908 in Gommern, Germany, near Magdeburg. Although he worked as an electrical chief engineer, he took a great theoretical and practical interest in folk dance, folklore, amateur and social dancing. Herbert Burchard focused on the different eras and classes of dance and acted as director of the Dessau Dance Circle from 1927 to 1932. His collection in the Leipzig Dance Archives includes a large number of notes on folk dance, papers by well-known authors (e.g., Herbert Oetke, Hans Deibel), compositions by Siegfried Schwantes and correspondence. Herbert Oetke Collection (1904-1999): In an outstanding achievement Herbert Oetke compiled the most detailed and extensive work on German folk dance to date. 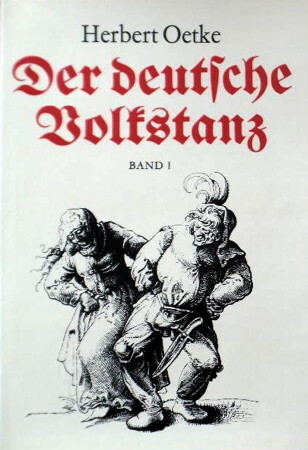 Der deutsche Volkstanz was published in two volumes in the spring of 1983.